So here is my contribution to the day of celebrating the struggle, and it is often one. The Tubthumpers Chorus sung a great rendition of ‘I’m Gonna be an Engineer” last term and we just got the blessing of the remarkable Peggy Seeger to post the video of our performance. The song was written in 1970 and it is really interesting to mark the differences in how things have moved on. We did not sing all the verses which I am posting below the video. 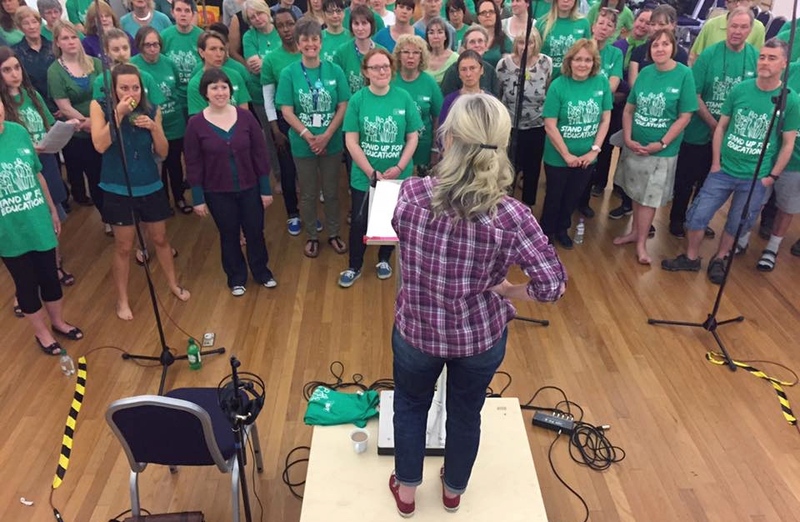 I AM RUNNING AN ALL DAY SINGING WORKSHOP THIS SATURDAY 12TH MARCH AT THE BISHOPSGATE INSTITUTE ‘SINGING IN HARMONY’ 10.30-4.30PM AFRICAN AND FOLK ACAPELLA FOR ANYONE WHO LIKES SINGING IN HARMONY,,,LOOK ON THE BISHOPSGATE INSTITUTE WEBSITE. I tagged along behind the gang and wore my corduroys. Mamma said, “Why can’t you be a lady? And maybe you’ll be glad that you’re a girl. That’s what you do to be a lady, now. She’s smart — for a woman. I wonder how she got that way? Just stay mum, pretend you’re dumb. That’s how you come to be a lady, today. And now he’s an engineer! I was gonna be an engineer. Then I could be a person too. What price for a woman? You don’t need a purse when a lady is sold. I went down to Vicker’s, they were glad o have me back. But I’m a first-class engineer! You’re not worth the equal pay. I’ll fight them as an engineer!